hd00:28KYIV, UKRAINE - SEPTEMBER 20, 2017. Cameraman with a camera during filming. Backstage filmmaking. Shooting a movie. 4k00:16Turner is working on the machine. metal processing. 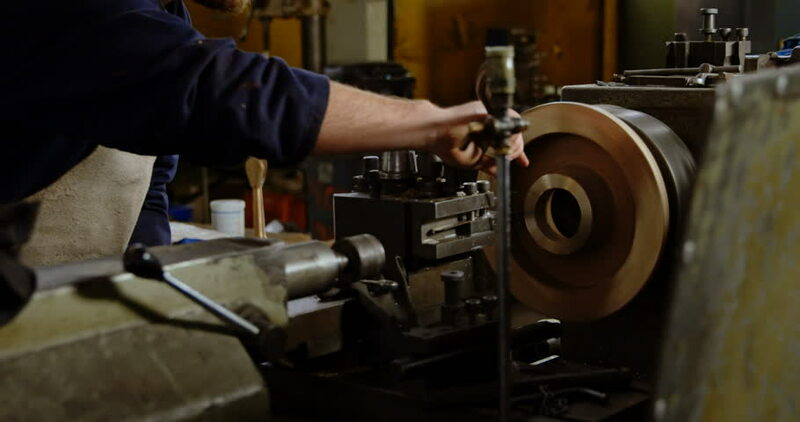 worker works on a lathe. Turner running on the machine. Turning work. metal processing.